* Stirred (never bruise the gin) and served in a chilled stem. 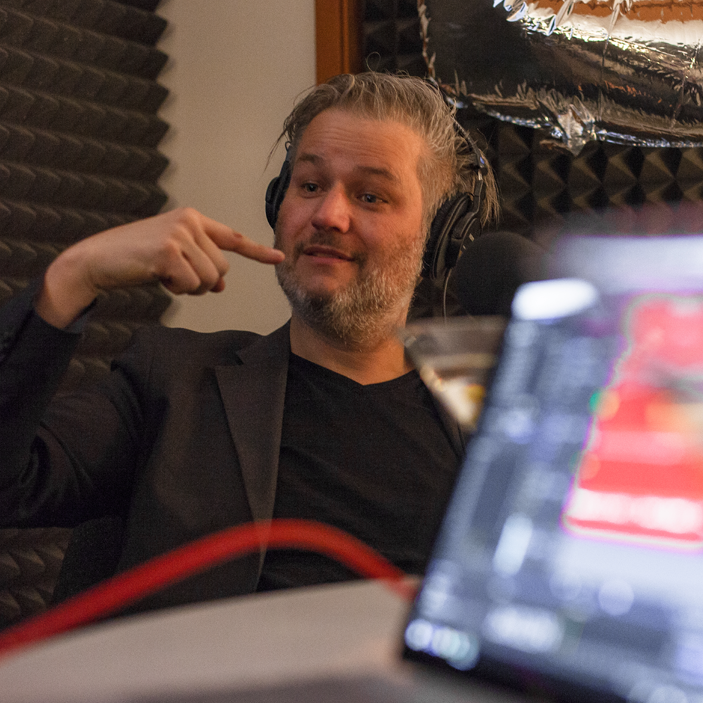 Christopher Nichols came to podcasting, as most do, via bidirectional reflectance distribution simulation, and has spent over 300 hours talking about it as host of Chaos Group's popular CG Garage. He has worked with Schiele and Thron on both big-budget and indie projects, including one short where he robs a damn bank. Beat that, Marc Maron. *Served on the rocks by the most heavily bearded man in room. Daniel Thron's opinions on film have been called "jejune," "bellicose," and "vacuously strident" by friends and family, and while he has yet to google what these words mean, he happily accepts the compliment. He is a writer, director, and VFX artist notable for some gross stuff in David Fincher's Zodiac, as well as some very nice trees in the background of Avengers: Infinity War. *Served on ice in a highball glass, with a swatch of blue velvet. Erick Schiele's actual backstory is too amazing to be taken seriously, but suffice to say that at least two of the following things are directly germane to it: Lou Reed, a burning mansion, and Clem Burke's autographed Beta copy of Videodrome. We will let you decide which ones. He is a filmmaker, art director, and CG artist, and his work can be seen in a range of movies and games from Abel Ferrara's The Addiction to Blizzard's Destiny series. He lives, and dresses very sharply, in Los Angeles.